While traveling along the Columbia River Gorge you can stop to enjoy an delicious meal without taking a break from the glorious view. At Valentino Lounge you are able to sit outside on the Valentino Terrace to enjoy your lunch or dinner while surrounded by the views of the gorge. 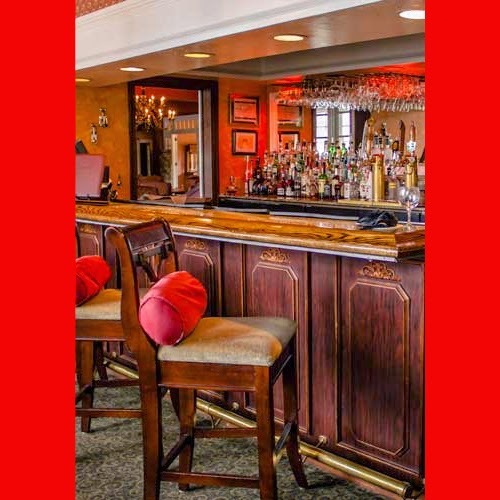 Valentino Lounge is located at the Columbia Gorge Hotel and is open from 2 p.m. to 10 p.m. Friday & Saturday, and from 2 p.m. to 9 p.m. Sunday through Thursday. Read about the history of the Columbia River Hotel below. The stately site on which the Columbia Gorge Hotel now stands was originally developed in 1904 by Bobby Rand, a Hood River pioneer, as the Wah Gwin Gwin Hotel (a Native American name meaning "rushing water" for the 208' waterfall on the grounds). These were the days of steamers navigating the waters of the Columbia River from the Cascades to The Dalles. To alert the hotel, the captains would sound the whistle once for each guest he had on board. Maids would then quickly make up the appropriate number of beds. In 1920, Rand sold his interests in the hotel to Simon Benson. Benson had just helped complete what many of the era claimed to be the world's most beautiful road, the Columbia Gorge Scenic Highway. Benson's dream was to create an opulent hotel for travelers at the end of this road. He hired some of the same Italian stone masons that had built the highway to embellish his hotel. One such window into the past is the Columbia Gorge Hotel. And Great restaurants nearby and the breakfast at Condor was beautifully presented on the terrace top. Check out the best offers for Hotel Condor in Taormina.